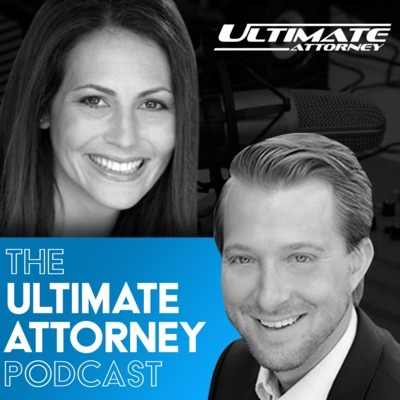 The Ultimate Attorney podcast is a business podcast for solo attorneys and small law firms who are looking to grow their legal practices with greater ease and effectiveness. Ultimate Attorney was developed to help attorneys master their marketing, sell their services with greater authority, generate repeat clients, and additional revenue in their business. Each week, your hosts Draye Redfern and Alexis Neely will share some of the closest guarded secrets from successful law firms across the U.S. When was the last time you got out of the office and attended an actual LIVE event? We are not talking about local chamber, CLE, or bar association events here. We are talking about events that are very likely outside of your town or city… Chances are it’s been a while… if at all!! Live events are absolutely critical to the next level growth of your law practice because they give you an opportunity to learn things that take you beyond the scope of your current awareness of what’s possible for your life and practice. They also give you the opportunity to surround yourself with people who are thinking bigger than you are…and that’s really the key! If you’re the smartest person in the room, you’re probably in the wrong room!! Join us for this week’s episode of The Ultimate Attorney Podcast where we discuss the importance of masterminding and going to live events. We will cover how attending JUST ONE live event can potentially be the turning point for your law practice. We are now well into the year, which means this is around the time many begin to review their new year's resolutions and assess whether they are on track to hit their goals. How are you measuring up? Are you crushing the goals you’ve set out for yourself and your law practice, or are things starting to look grim? Maybe you have hit a wall and are unsure about what exactly you should be doing next to create the forward momentum you were hoping for this year. In this week’s episode of the Ultimate Attorney Podcast, we’ll cover 5 things that are potentially stopping you from accomplishing your goals, and how you can sidestep these roadblocks and crush the remainder of the year. Credit often gets a bad wrap, but can actually be an asset when it comes to growing your law firm. The problem is many still remain in the dark when it comes to leveraging credit to scale their law business. Many law firm owners are often incredibly uncertain about the best ways to maximize credit or if you should even take on debt to grow your law practice in the first place. In this week’s episode of the Ultimate Attorney Podcast, we’ll cover the steps that you can take to maximize your credit score, improve your chances of getting a business loan or line of credit, and teach you why separating your business credit from personal credit is highly advisable. Do you have unwavering support of your spouse/family when it comes to building your law firm? Some do. Many don’t. Starting your own law firm can be stressful, overwhelming and uncertain. When you layer in the fact that many lawyers do not get adequate support from their spouse/family, it can cause them to feel discouraged and question whether starting their own law firm was the right decision. 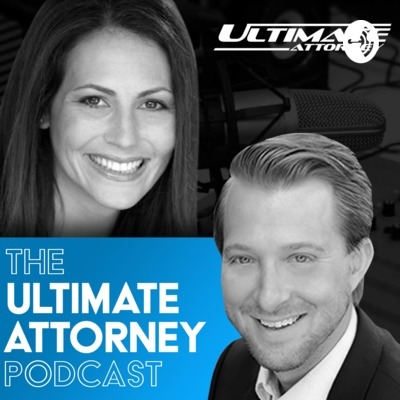 In this week’s episode of the Ultimate Attorney Podcast, we discuss ways in which you can get your spouse/family to support you and how you can get off the emotional roller coaster that often questions your decision of becoming an attorney. In this weeks episode, Draye is going to recap some of the most popular episodes of the Ultimate Attorney Podcast that you may have missed. This episode will catch you up with some of the most downloaded episodes and share the highlights of each of these episodes with you. You learn how to better manage your calendar and create time-restrictions that end up giving you more freedom. You'll also learn some key insights to protect your reputation online and how to gain more positive 5-star reviews. Whether you’re already a solo attorney or an individual who is considering hanging up their shingle and starting their own law practice, your first year as a solo is such a big deal because it is make it or break it time. Going out on your own can be terrifying, so it is important to not over complicate things at first. You don’t want to be struck with analysis paralysis. It is important to keep in mind you don't have to have all the bells and whistles built in when starting out, that will all come in due time once you know you can engage clients. In this week’s episode of The Ultimate Attorney Podcast, we discuss your first year as a solo and how you can cover your bases, hang up your shingle, focus on lead gen strategies, and scale your law firm. Episode 24 - Legal Insurance Plans - Are they worth it? Was this year your best year yet? What are you doing to achieve your goals in the coming year? When you have clarity about your specific goals and desired outcomes, you are able to more effectively create a framework that makes your goals and desires easier to achieve. By bringing more intention and perspective to your goals, tracking them and using the systems that we discuss in this episode you can create immensely powerful systems that set you up for success. In this week’s episode of the Ultimate Attorney Podcast, we get ready to wrap up the year and focus on setting you up for success, and prosperity in 2019. Direct mail is dead. NOT! In today’s modern age of texts, tweets, notifications, and vibrations, our attention is constantly pulled in a 1,000 different directions. While every other lawyer is trying to compete in the crowded digital landscape, you can have an unfair advantage by using direct mail as a reliable lead generation tool. If you can get a prospect to open your piece of mail, you can captivate their attention significantly longer than a tweet or Facebook post could ever accomplish. When executed properly, Direct mail is a great way to distinguish yourself and become known in your community as the go-to lawyer. There are very few mediums that allow you to improve the “know, like, and trust factor” faster than direct mail. Join us in this week’s episode of the Ultimate Attorney Podcast as we discuss direct mail and how you can keep prospects engaged and engrossed with your messaging significantly longer than any online medium. Episode 1 - What does it mean to be an Ultimate Attorney?